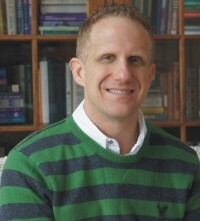 Jason Lynch, award winning author, is the owner and CEO of E. G. Bear Company and was selected the U. S. Small Business Administration’s 2007 Home-based Business Champion of the Year for West Virginia. 100% of all E. G. Bear Company’s products are proudly made in West Virginia. Founded in 1995 by a group of church friends to honor Emery Glenn Moore, Jason Lynch has grown this basement business into a cottage-based manufacturing company that employs people who work out of their homes, many with disabilities. Lynch was also awarded the 2005 Top Toy Producer for Tamarack, Best of West Virginia, located in Beckley,WV and the 2007 Generation Next 40 under 40 from the West Virginia State Business Journal.